Agency & broker executives must be prepared to lead their organizations through rapidly changing environments while endeavoring to achieve desired outcomes for themselves and their teams. 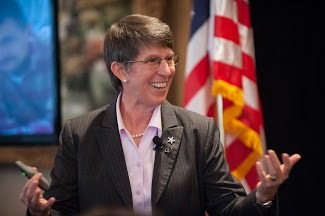 IWiL participants will have the opportunity to partner with influential women graduates and officers from the United States Military Academy at West Point, in a journey to define and refine their leadership styles, and mentally and physically equip themselves to meet today’s ever changing business demands. This program enables leaders to effectively lead teams and help them work to their strengths, influence the talent on their teams to get their best, and inspire and motivate their team members. Participants will be introduced to the ideas that higher order leadership processes can produce more motivated, efficient, and satisfied team members. Women will leave this program with an enhanced understanding of and a pathway towards leading with vision purpose and positive impact. A female leader within your organization? Ready to take your Chubb business to the next level? Committed to your own personal development? 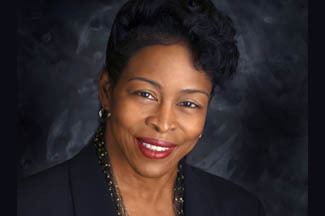 First African-American woman to graduate from West Point in 1980, among the first class of women to graduate from the historic institution. Learn more about Pat’s experience. First Female Graduate of West Point to be promoted to General Officer. Learn more about Becky’s experience. Includes program fees, accommodations & meals. Business casual for classroom sessions. Athletic wear for optional experiential sessions. Thayer Leader Development Group (TLDG) is a premier executive leader development program, based on the grounds of the United States Military Academy (U.S.M.A.) at West Point, New York. Founded in 2010, TLDG has trained more than 50,000 executives and front-line leaders from over 250 companies across a variety of industries earning an average net promoter score of 93%. Utilizing a diverse range of customized, open enrollment, and online learning programs, TLDG’s mission is to help build leaders of character by offering leadership and ethics education grounded in the U.S. Army leadership philosophy of “Be, Know, Do” and the U.S.M.A. values of “Duty, Honor, Country”. Connect with them on LinkedIn, Facebook, and Twitter. Log in or create an account for faster registration and access to premium content. Which Chubb branch office are you affiliated with? Albany	Atlanta	Austin	Baltimore	Birmingham	Boston	Charlotte	Chicago	Cincinnati	Cleveland	Columbus	Dallas	Denver	Des Moines	Grand Rapids	Harrisburg	Houston	Illinois – Schaumburg	Indianapolis	Kansas City	Long Island – Uniondale	Los Angeles	Louisville	Michigan	Milwaukee	Minneapolis	Nashville	New Haven	New York	Newport Beach	NJ Retail	Philadelphia	Phoenix	Pittsburgh	Portland	Richmond	Rochester	San Diego	San Francisco	San Ramon	Seattle	St. Louis	Tampa	Tulsa	Washington DC	Westchester – White Plains	Other	 Which Chubb branch office are you affiliated with? We are committed to providing innovative, high quality educational opportunities and professional development programs that support the profitable growth of Chubb’s key agents and brokers and Chubb’s strategic goals. Be the first to know about new training programs and events. © 2019 Chubb Agency Education. All rights reserved.